The POWER RETOUCHE plugin works inside your graphic software where it appears like a supplementary filter. It is free. Unzip the file and run the installation program. 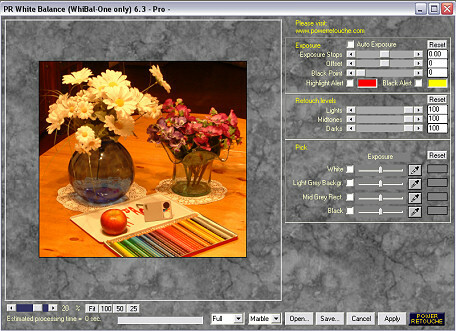 The white balance Power Retouche filter needs to be placed in the "plugin" folder or its equivalent of your graphic software. After the plugin is installed, launch your graphic software. - Dubble-click on this file for launching the installation. - "Welcome" winow : click on "Next"
- "License Agreement" window : click on "YES" then "Next"
- "Readme" window : click on "Next"
Another method of installation is to accept all the default options. The plugin will be installed in a PowerRetouche folder. This folder holds all the necessary elements the permit the plugin to function. You may copy those elements and paste them in the plug-in folder of your software. If you use different softwares, you may copy the PowerRetouche folder content in the plug-in folder of each software. During the installation,other filters are installed. They are demo filters. They are functional too but display the "DEMO" text on the images. But you may let it checked if you want to have an auto-correction of the luminosity. We don't used the black and white areas because we have observed that this plugin tends to increase the contrast when it measures the black and white areas of the Digi Grey. Clicking on the grey is enough. Save the setting with "Save". 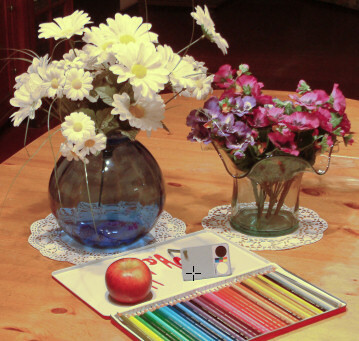 For applying the correction on the other photos, load the setting with "Open". If you correct your other photos immediately after correcting the reference photo, no need to save the setting. The filter memorizes the last setting. You only need to open the other photos in the filter and click on "Apply". 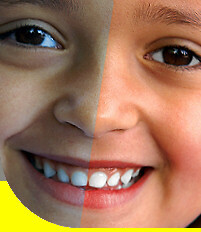 You may also increase the saturation in your photo retouching program.